A1 HGV Training has a fleet of Volvo and Mercedes vehicles. Our lorries are well maintained and allow the trainee to grasp a real feel for driving an HGV. Enables the driver to drive any rigid truck. You are limited to tow a trailer under 750 kg's. This Licence enables the Driver to drive an articulated or draw-bar lorry and can also tow any size trailer. 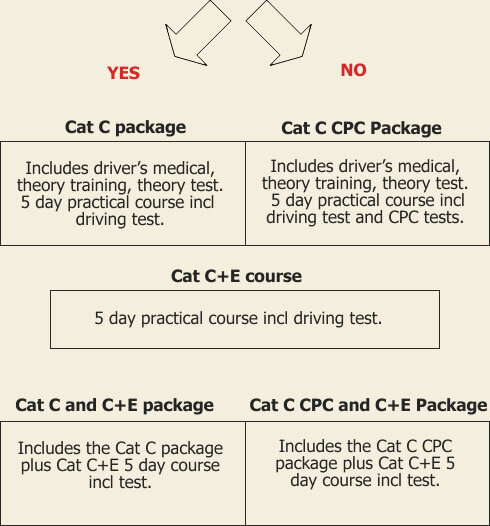 Did you pass your car test before 1st January 1997 or have you passed an LGV Cat C1 test before 10th September 2009?